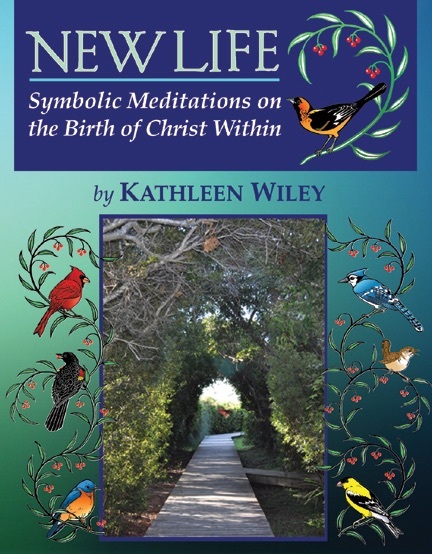 Just in time for Advent, Kathleen Wiley’s Second Edition of “NEW LIFE: Symbolic Meditations on the Birth of Christ Within” has just been published. As its designer, I am very pleased with the look of this 98-page book. Through biblical stories, Kathleen Wiley provides insight and meaning to the symbols encountered in the scriptures. In her therapy/psychoanalytic practice of 25+ years, Kathleen Wiley has helped many people overcome their barriers to healing. The author applies her knowledge of symbols to take readers on an insightful journey of self discovery in an interesting, easy-to-understand narrative. 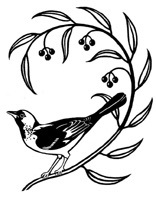 The book also includes some notes on the symbolism of birds which was my inspired contribution. 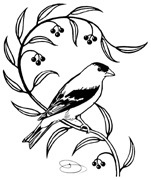 I also created the interior line drawings of a blue bird, blue jay, wren, cardinal, red-winged black bird and finch. I had a lot of fun with the design of this book. Like the last book, this one’s proportions are based on a phi ratio.